Incredibly stylish, the combination of Grade A Teak and #316 Stainless Steel make this outdoor dining table one of our top sellers. 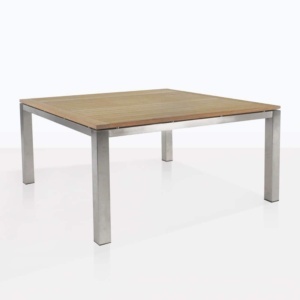 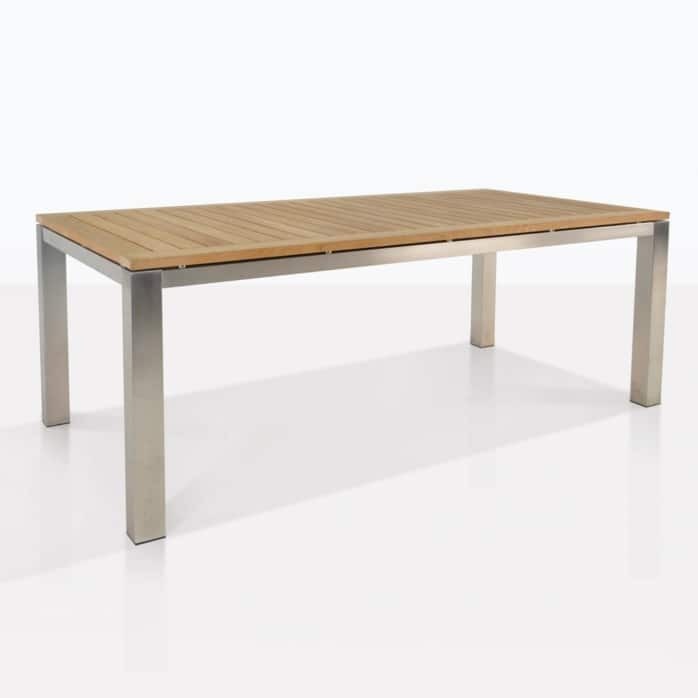 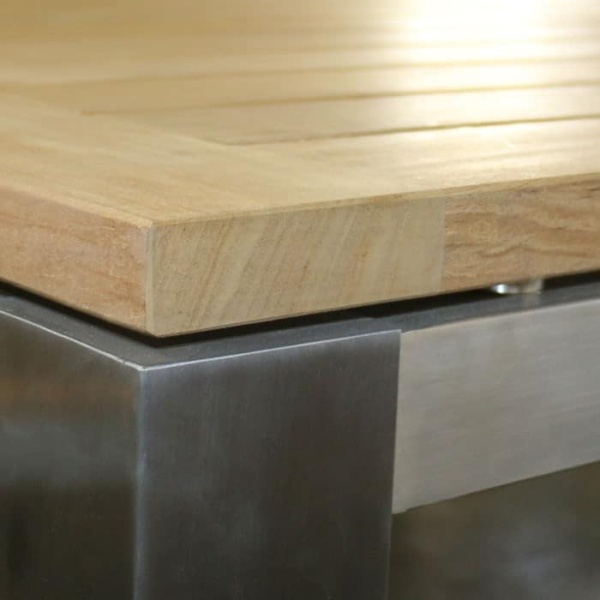 A simple design, featuring a Stainless Steel frame and finely planked pieces of teak on the table top, make it a superb dining surface and understatedly cool. 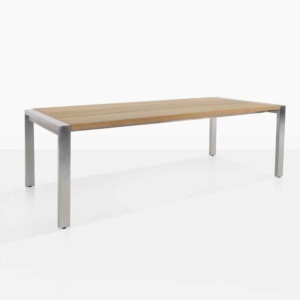 This outdoor dining table is available in 3 sizes so any of your spaces inside and out can be catered for!